Teddy bear dresses to suit any furry friends needs. 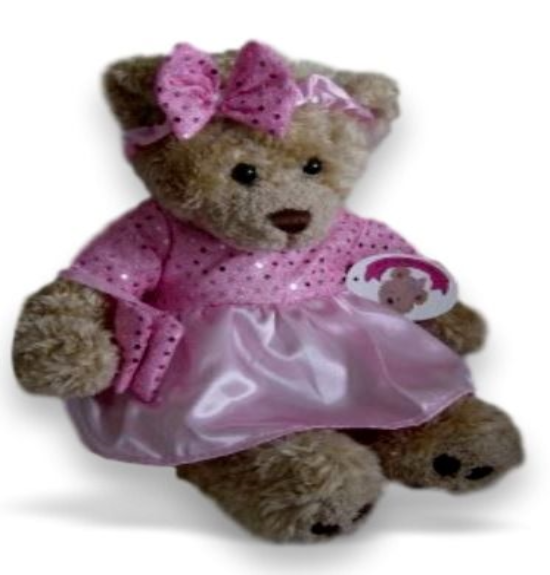 Teddy bear clothing party dresses, teddy bear dresses to for wedding teddies, bridesmaid bears, bear clothing for special occasions like birthdays and Christmas. Probably the best selection of Teddy bear clothes you have seen! Compatible fit for 38-40 cm or 15 and 16 inch build a bear and many more popular brands. Teddy Bear Clothes Candy Pink Polka Dot Dress. Build your Bears Wardrobe™ is a compatible fit for build a bear and similar teddies teddies. Candy Polka Dress Matching Bows Build your bears a new wardrobe of teddies clothes. Teddy Bear Clothes Black and white check dress with matching hat. Build your Bears Wardrobe™ is a compatible fit for build a bear and similar teddies teddies. Candy Pink Buckle Dress features a large silver buckle as the centre. Build your Bears Wardrobe teddy bear clothes is a compatible fit for build a bear and similar sized much loved teddies. Teddy bear clothes Lilac Sparkle Teddy Bear Dress, Head Bow & Bag Outfit is a compatible fit for 14-16" build a bear. Candy Satin Ra Ra Dress & Bows. Teddy Bear Clothes fits Build a Bear Teddies. Compatible for Build a bear, plus many more popular 38-40 cm 15-16 inch bears. Rose Detail Pink Dress and Matching Shoes. A compatible fit for Build a Bear, Argos Design a Bear and many more teddies of a similar shape and size. 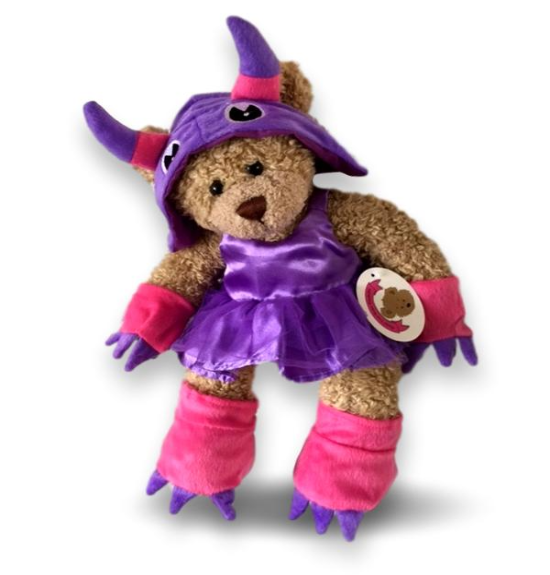 Teddy Bear Clothes, fit Build a Bear, Little Purple Dragon Teddy bears Clothing. Build your bears a new wardrobe of teddies clothes. Teddy bear clothes compatible fit for 16 inch:- Build a Bear Argos Design a Bear Bear Factory bears Teddy mountain Plus Many more. Cabbage Patch Dolls too! BEAR is NOT included. Purple fairy outfit flower petals dress. A compatible fit for Build a Bear, Argos Design a Bear and many more teddies of a similar shape and size. Teddy bear clothes Frilled Pink Dress, 2 Bows and toe post shoes. Teddy Bear Dress fits 15-16" build a bear and many more popular brands. 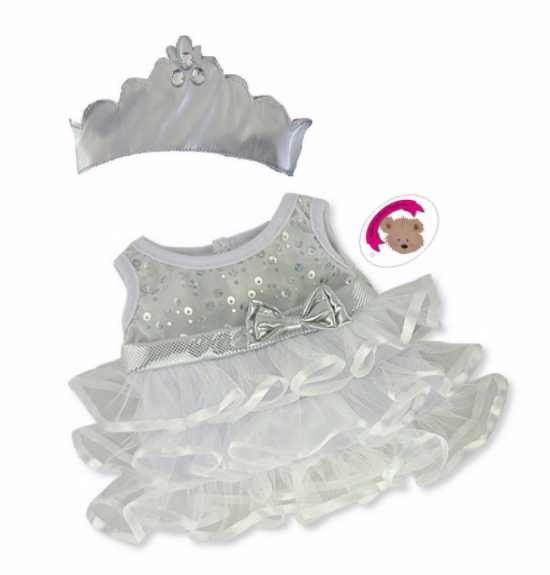 Teddy bear clothes fit build a bear, snow queen & crown teddy bears clothing. Build your bears a new wardrobe of teddies clothes. Teddy Bear Clothes, fit Build a Bear, Blue Dress and Jacket/Cape Outfit. This hooded dress has ear slits for teddies ears, silver detail running through the purple pattern. The butterfly design shoes are pop-on, slip on style. Fits Build a Bear, Argos Design a Bear plus many more similar shape size bears. Teddy bear clothes long wedding dress.. A compatible fit for Build a Bear, Argos Design a Bear and many more teddies of a similar shape and size. Build your bears a new wardrobe of teddies clothes. Teddy bear clothes fit build a bear, Silver'n'Satin Wedding Dresss teddy bears clothing. Build your bears a new wardrobe of teddies clothes. Teddy bear clothes fit build a bear, wedding dresss veil & bouquet teddy bears clothing. Build your bears a new wardrobe of teddies clothes. Red love heart dress & flower toe post shoes, Valentine's outfit. Fits Build a Bear, Argos Design a Bear plus many more similar shape size bears. 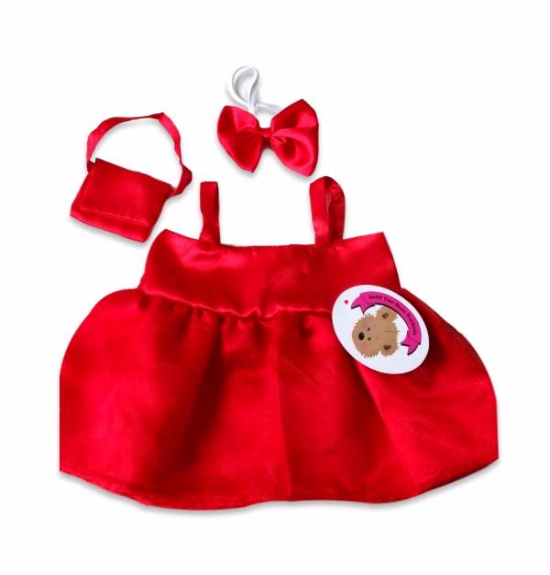 Teddy Bear Clothes Red Frilly Satin Dress with 2 Bows. A compatible fit for Build a Bear, Argos Design a Bear and many more teddies of a similar shape and size. Teddy Bear Clothes fit Build a Bear, Red Polka Dot Outfit with headband. Teddy Clothing. Build your bears a new wardrobe of teddies clothes. Candy bows dress is a compatible fit for Build a Bear, Argos Design a Bear and many more teddies of a similar shape and size. 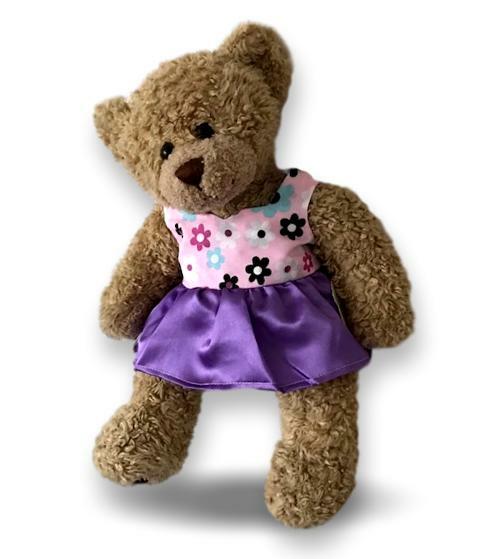 Purple frilled dress is a compatible fit for Build a Bear, Argos Design a Bear and many more teddies of a similar shape and size. Sale - Imperfect - Satin Shoes Pink - FREE Faulty Dress/Bows a compatible fit for Build a Bear, Argos Design a Bear and many more teddies of a similar shape and size. Sale - Imperfect - Satin Shoes White - FREE Faulty Dress/Bows a compatible fit for Build a Bear, Argos Design a Bear and many more teddies of a similar shape and size.